Dungarvan Hillwalking Club is deeply grateful to the good people at Dungarvan Flower Club. 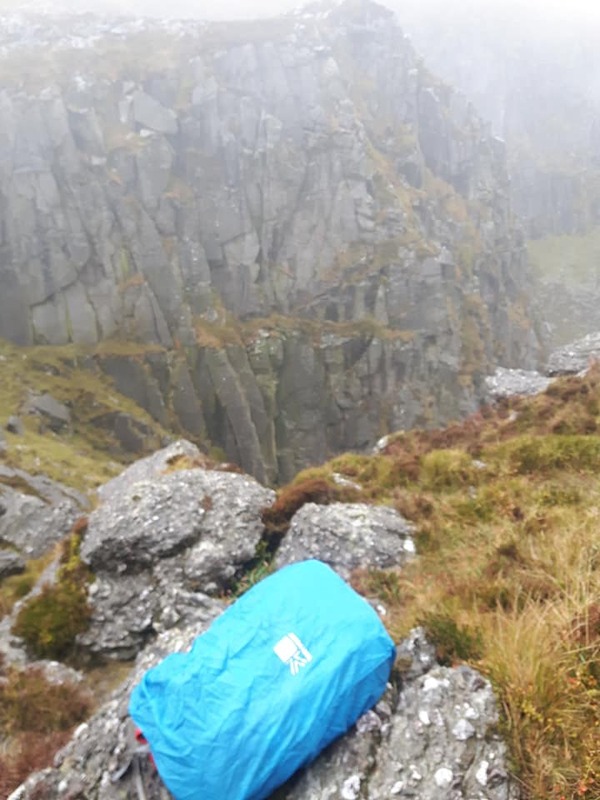 They've nominated South-East Mountain Rescue (SEMRA) as their charity of choice for their next event. This is a flower arranging evening on Wednesday 28 November, happening in the Park Hotel at 8pm. 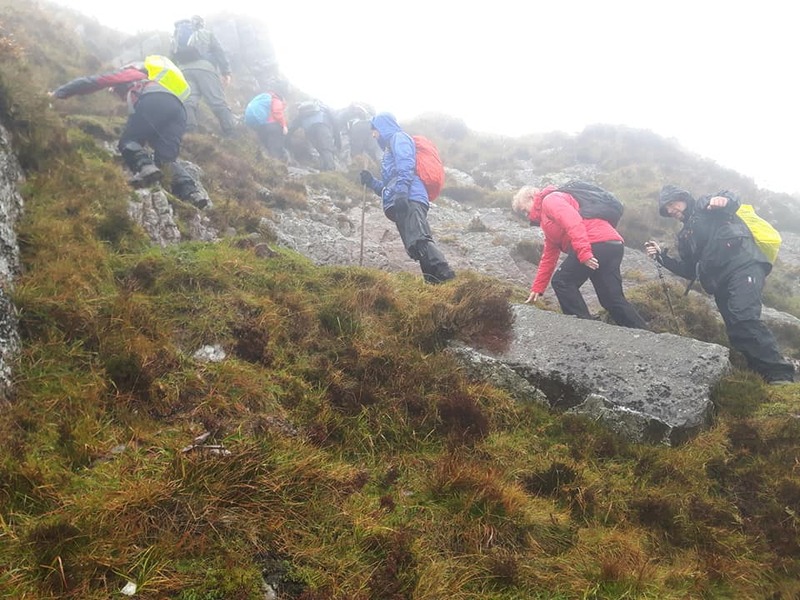 Also, good luck to the club members who will be taking part or helping out in the Long Way Round walk, happening tomorrow, 24 November in Clonmel. HEre's hoping these two events raise much-needed funds for this very worthy cause. 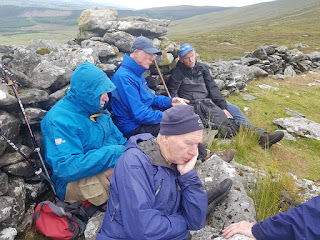 Richard Dykes led a foggy B walk to Iska Sullas and Boola Cairn. Michael Daly captured the weather, the mood and the wonderful scenery, which was just visible enough for him to take great pictures. 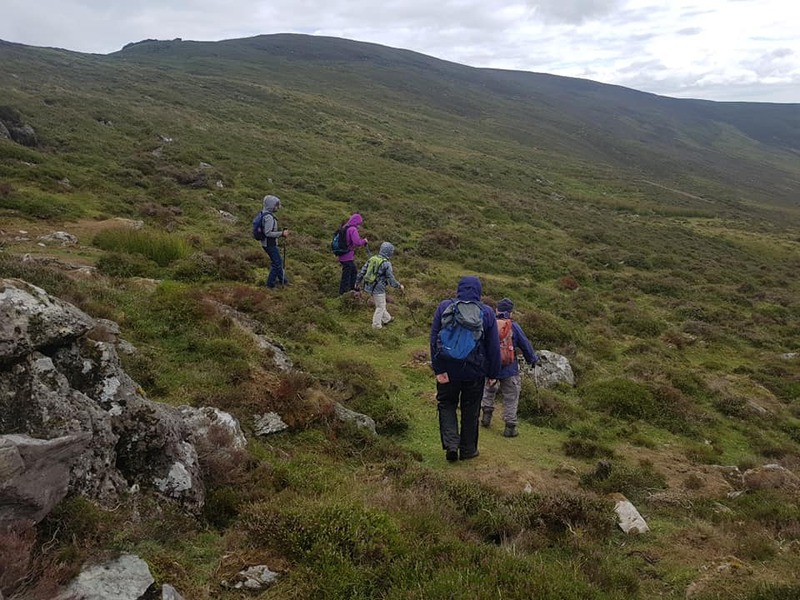 Dungarvan Hillwalking Club has a new committee for 2018/19, with some familiar faces and some new ones. 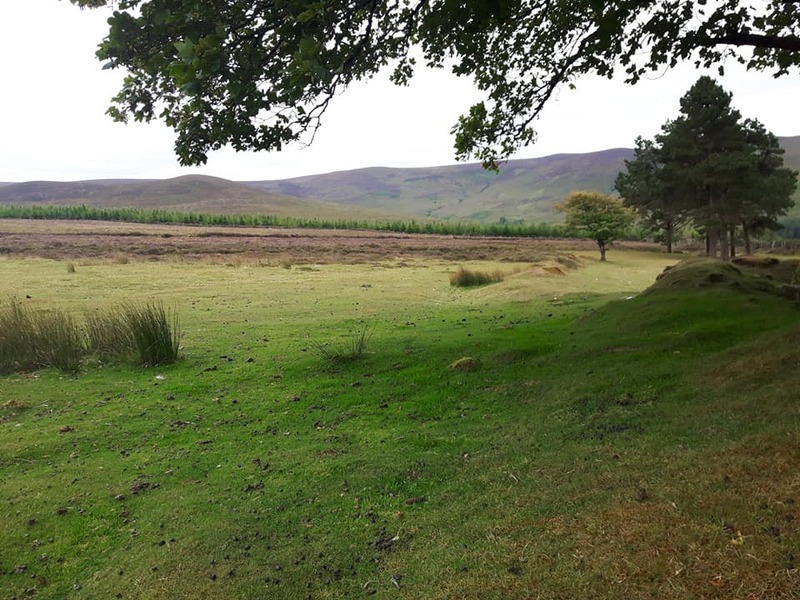 Tony Fitzgerald remains as chairperson and environmental officer, David Byrne is still membership officer and Anne Dykes is still children’s officer. 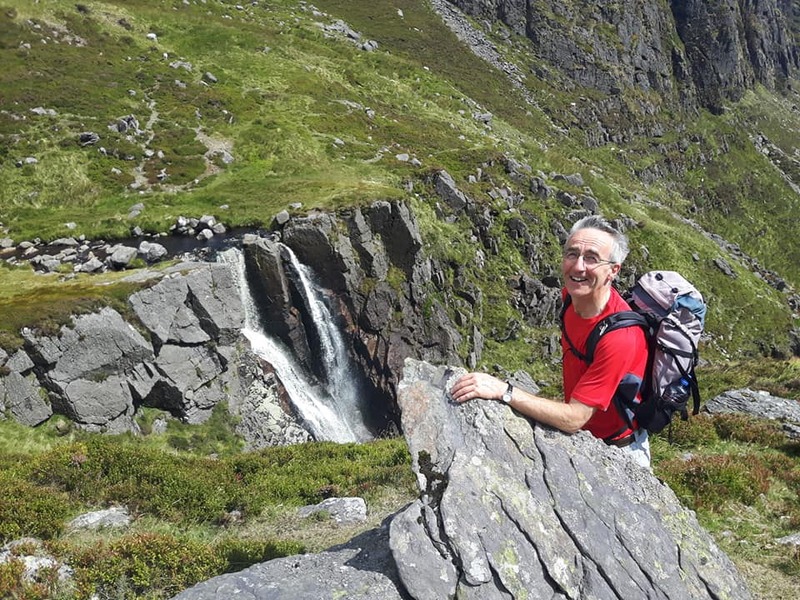 Derbhile Graham remains as PRO, but will also be website coordinator. Mary Murphy will take over from Erich Baumann as Treasurer. Peter Mangan and Monica Corcoran will still be B and C walk coordinators respectively. However, we have a new vice-chair, Neil Fitzgerald, and a new secretary, Ronagh Baumann, so we welcome them to the committee. Each of our three charities, Dungarvan Lions Club, West Waterford Hospice and South-East Mountain Rescue, was presented with a cheque for €600. These donations came from funds raised at the Comeragh Crossing, Cunnigar Crossing, Christmas walk and club barbecue. A representative of West Waterford Hospice was on hand to show us where our money is going, to fund a state-of-the-art hospice building based in the grounds of Waterford University Hospital. Richard Dykes accepted the cheque on behalf of Mountain Rescue and Erich Baumann accepted the donation for the Lions Club. 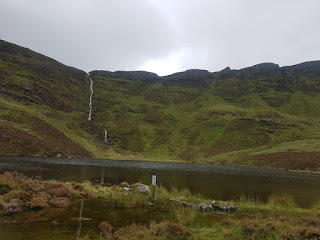 B Walk Report, Comeraghs, 21 October, by Mihael Daly. Leader, Mary O’Shea. We had a great B walk today. Despite rain and foggy mist at the start, Mary showed her navigation skills and familiarity with these hills, taking us up "heart attack hill " to Knockmeal and Crohan West, before lunch (and a brief history lesson) at Liam Lynch Monument. The weather had brightened up by then and we contoured round Knocknagnauv and Knocknafalia, returning to the start tired and happy. 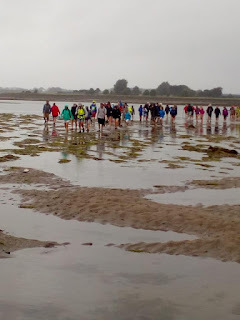 This walk attracted an epic turnout, with 31 walkers setting out for Lough Modhra, some new members, some seasoned walkers. While not quite as sunny as promised, the weather stayed mostly dry throughout. 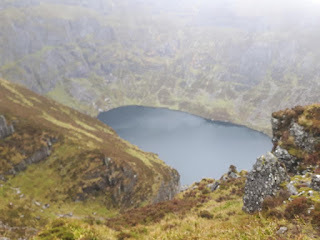 We wended our way along a track, which brought us to this exquisite lake tucked into the hill. Its beauty put many of the walkers in contemplative mode, and many of them sat alone on rocks while we were having our picnic, staring at the landscape. 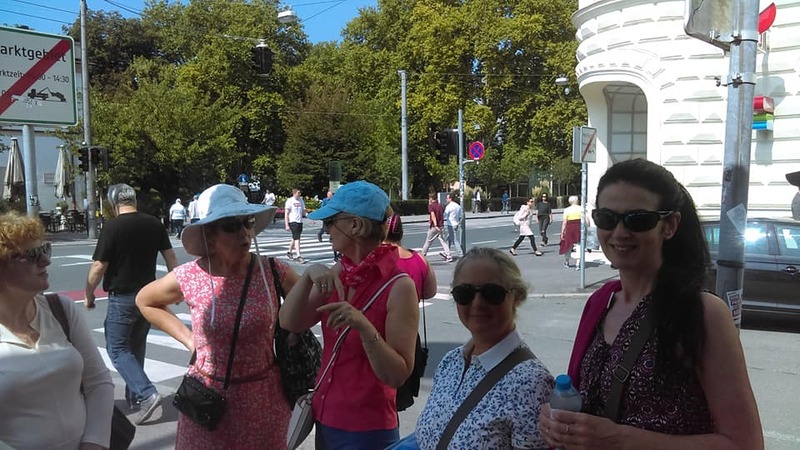 The walk lasted just under three hours, and our competent leaders kept all of us on track. As mentioned in the last newsletter, SEMRA will hold its Long Way Round walk on Saturday 24 November. 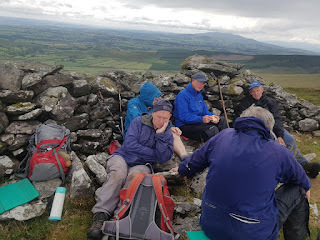 You can check out their website, www.semra.ie/longwayround, for further details. As well as that, there will be a Gala Flower Show on Thursday 28 November for SEMRA. Contact Reenie for further information. On Sunday, 21 October 2018, the weather was dry enough to tempt out dozens of souls for our B and C walks. Michael Daly was the photographer for the B walk in the Knockmealdowns, led by Mary O'Shea. 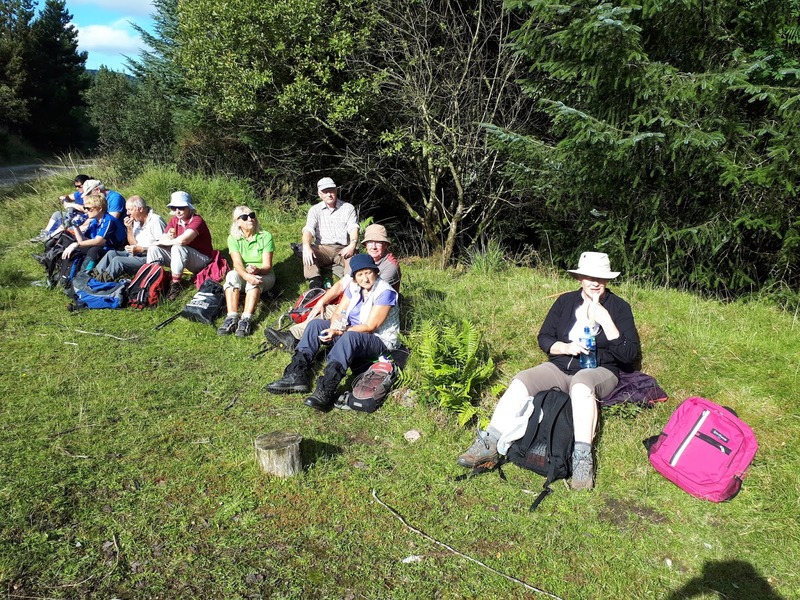 Meanwhile, Derbhile Graham was the photographer on the C walk to Lough Modhra, led by the dynamic duo of Marie Jennings and Ronagh Baumann. 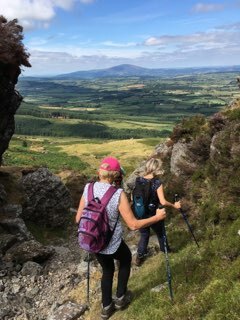 There has been a change to the advertised venue for our C walk this Sunday 21 October, led by Marie Jennings and Ronagh Baumann. 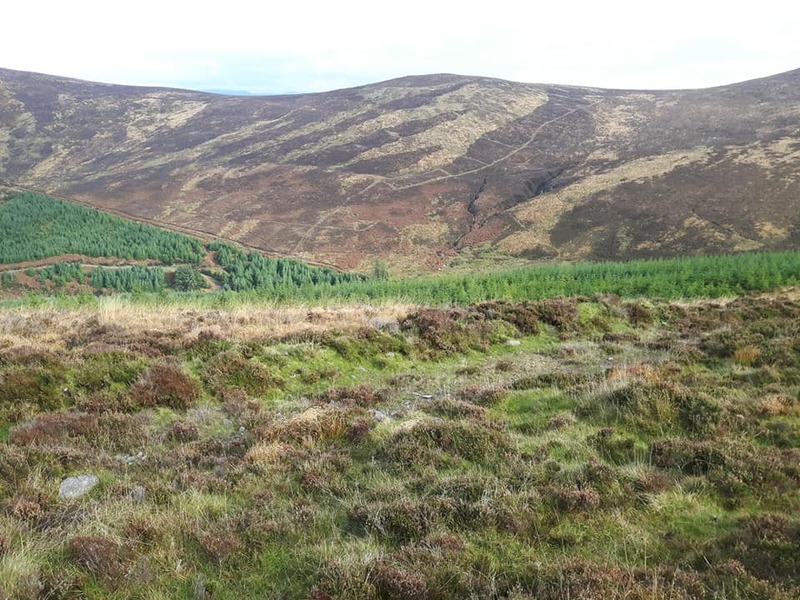 It will be to Lough Modhra instead of in the Nire Valley as originally planned. Have a look at the walksheet, where you'll see the changed venue and the phone numbers for Marie and Ronagh, if you have any questions. The walk still leaves Scanlon's Yard at 1pm as usual. This is an article about the club's annual holiday to Austria by Marie Jennings. 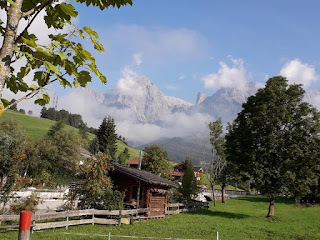 A dumpling festival held in the picturesque village of Maria Alm intrigued us all and following our walk on Tuesday, we sat amongst the locals, enjoying both sweet and savory dumplings- a traditional dish in Austria. 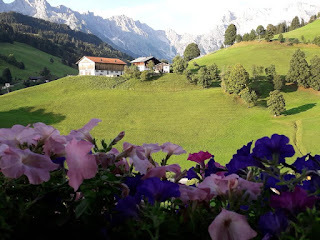 We washed them down with local beer and listened to the music played by a local band all dressed up in Lederhosen. Mid week was a sos (break) day. Ronagh and Erich organized a bus to take all 28 of us to the beautiful city of Salzburg. A great day. Heiro, our hotel owners' dog proved to be a great hit with everyone. All he wanted to do was play and he had plenty of dog lovers to assist. May we say a huge thanks to Ronagh and Erich for looking after us so well from departure to return. To Tony for organizing the holiday and to Ronagh's sister Cathy for entertaining us in the hotel with her wonderful guitar playing, beautiful voice and some great songs. A great time was had by all. Our club Christmas party makes a welcome return for 2018, thanks to the initiative and organisational skills of Linda Humphries. On Saturday 8 December, we’ll be having a meal in Merries, from 7pm onwards. For just €30, you’ll get a delicious three-course meal. If you’d like to come along, you can get your tickets from members of the committee. After a murky day on Saturday, the day dawned bright and clear for John Browne’s walk to the Red Bank, near Modeligo. The sixteen walkers rambled along forest trails in a walk that lasted approximately three hours. 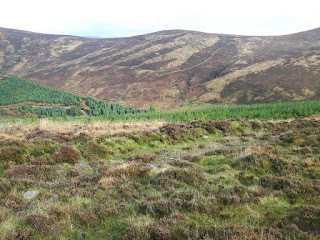 The terrain was quite dry following our hot summer, which made for easier walking. 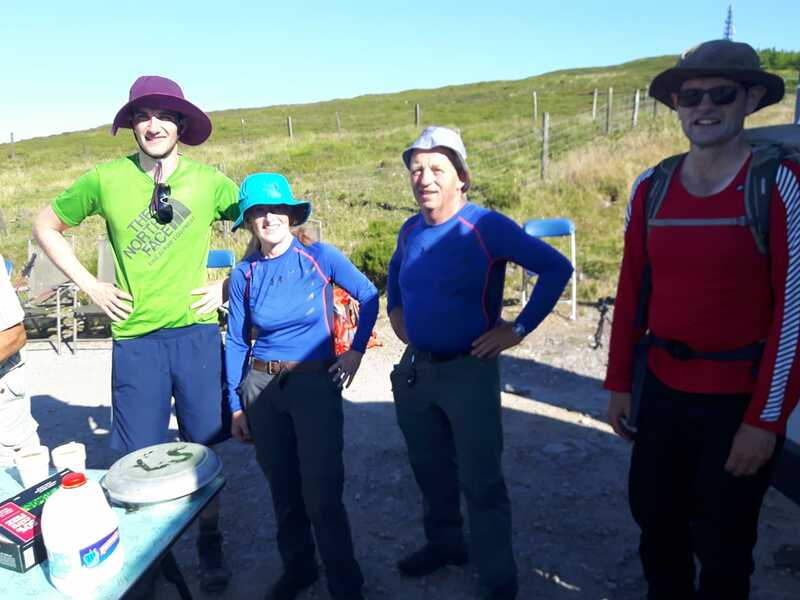 Peter Mangan lost his hat, but was reunited with it. Thanks to John Browne for the a very pleasant walk. 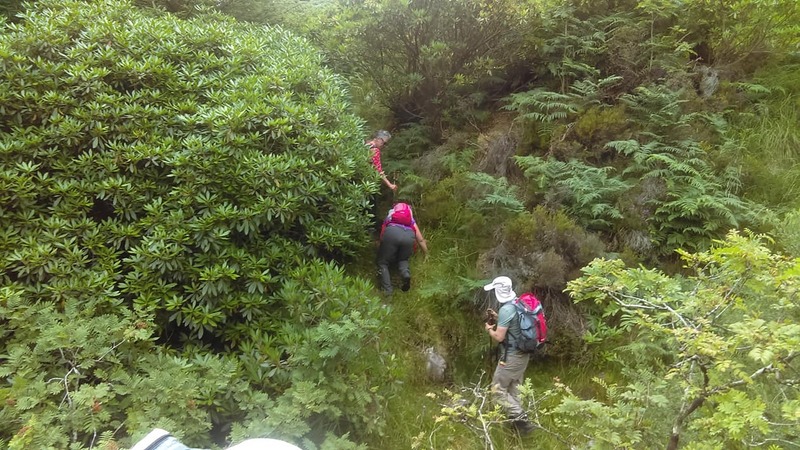 SEMRA is holding its annual Long Way Round walk on Saturday 24 November. It’s a 15km walk and it’ll leave from the Central Technical Institute at the Mall in Clonmel. There’s an early bird price of €30 if you book now. The route typically brings you along forest tracks, and minor roads, and onto open mountain. When you’re finished, you can enjoy a chat and refreshments back at the Central Technical Institute. 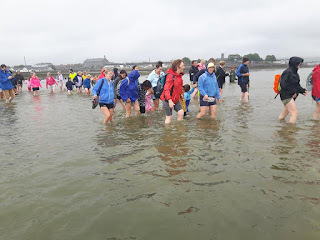 You can find out more and book your tickets on: www.semra.ie/longwayround. 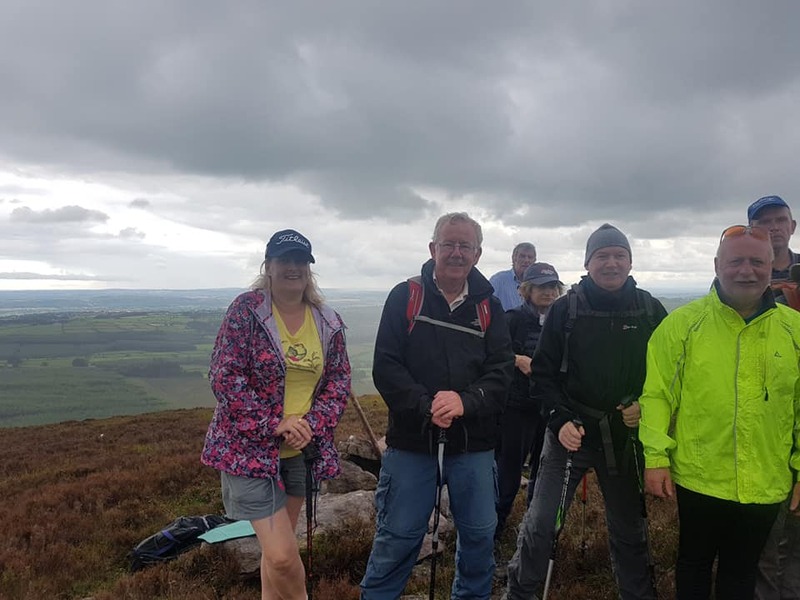 If you have a walk report or any other news you think the club members should know, please contact club PRO Derbhile Graham, derbhile.graham@gmail.com. The C walkers enjoyed a three-hour walk in Red Bank, near Modeligo,w ith John Browne. 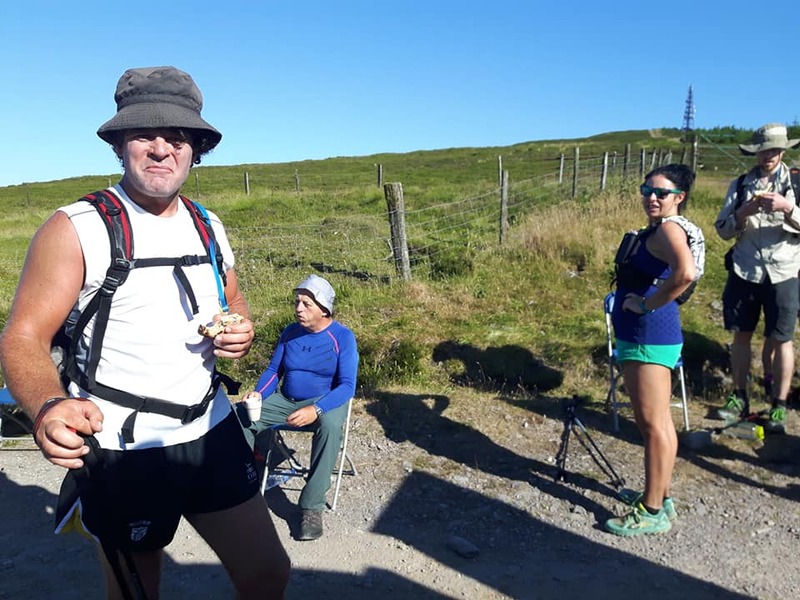 We kept up a steady pace, but we had time for a picnic near the end, and Derbhile Graham seized the opportunity to take a couple of photos. 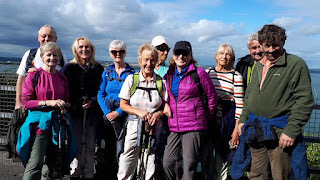 Our Thursday C walkers enjoyed a stunning day out in Crosshaven on 13 September, under the leadership of David Haworth. 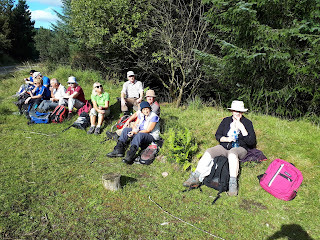 They refreshed themselves with a delicious meal in Cronin's after the walk. 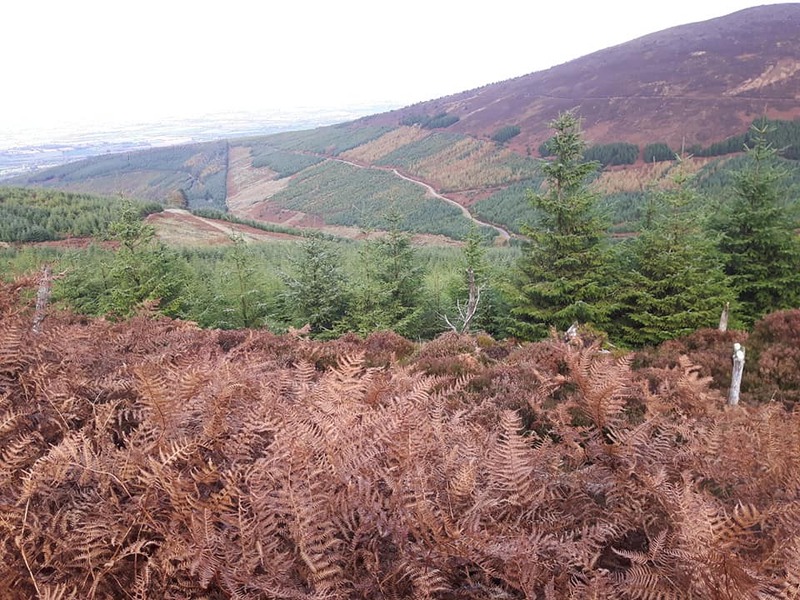 HEre's a selection of pics, supplied by Eibhlin Power. Dungarvan Hillwalking Club organises an international holiday every year and this year it was to Austria, from 1-8 September. As this poster writes, the walkers are homeward bound after what looks to have been a very successful holiday. 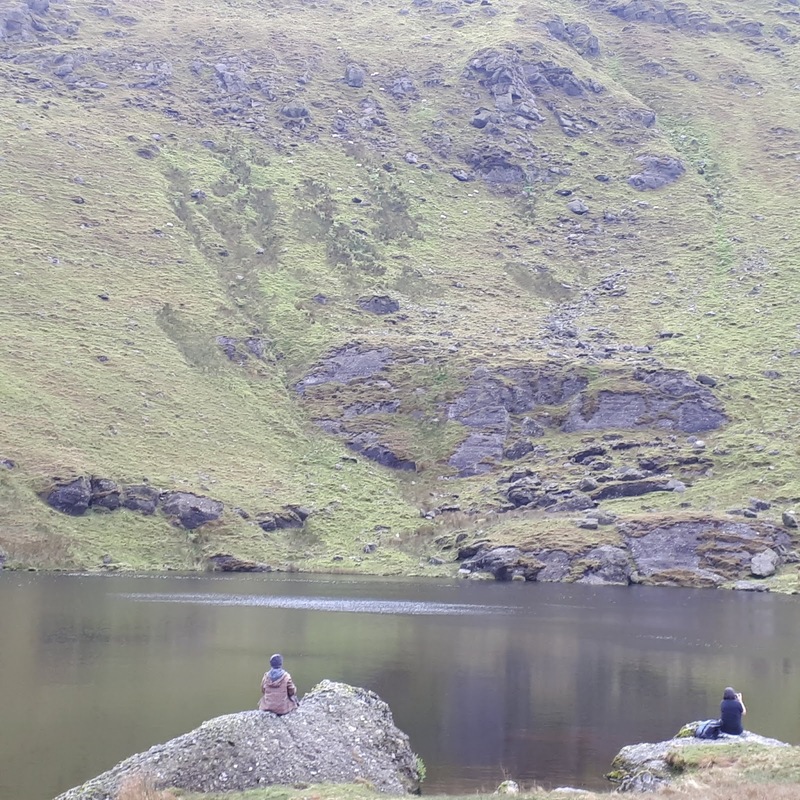 Valentine Kenneally and Ronagh Baumann kept us all up to date on Facebook, and here's a flavour of the holiday, as seen through their eyes. 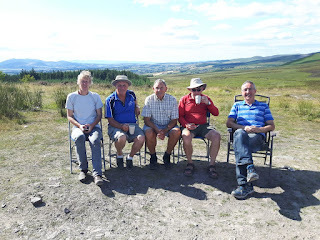 Approximately 35 people gathered at the home of Colm and Linda Humphreys for the annual club barbecue on 28 July last. The barbecue was our third fundraiser of the month for our three charities, Dungarvan Lions Club, West Waterford Hospice and South-East Mountain Rescue. This reporter has heard very little about what occurred, so is concluding that what goes on tour, stays on tour. But warm thanks definitely go to Colm and Linda for hosting, and for all those who helped them to make it a great night by supplying food, barbecues and garden furniture. 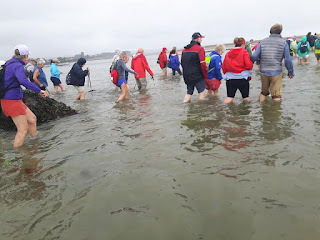 Walk Report: Woodstown Thursday C Walk, 16 August. Leader, Neil Fitzgerald. Our Thursday walkers ventured east for this Thursday walk, to Woodstown, near Dunmore East. 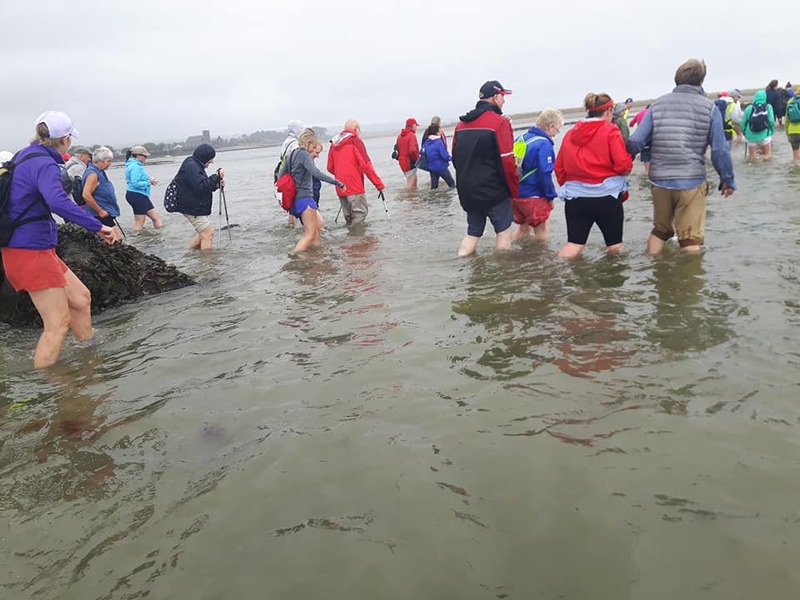 12 walkers, led by Neil Fitzgerald, enjoyed a two-hour walk along Woodstown Beach and scrambled along rocks to reach Creadon Beach. 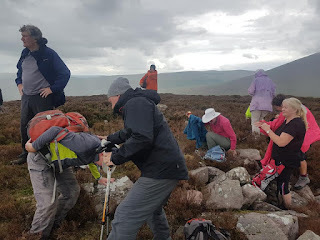 The scramble was fairly tough, and the walkers kept being reassured that the next beach was around the corner, but this corner proved to be possibly the largest corner in Ireland. 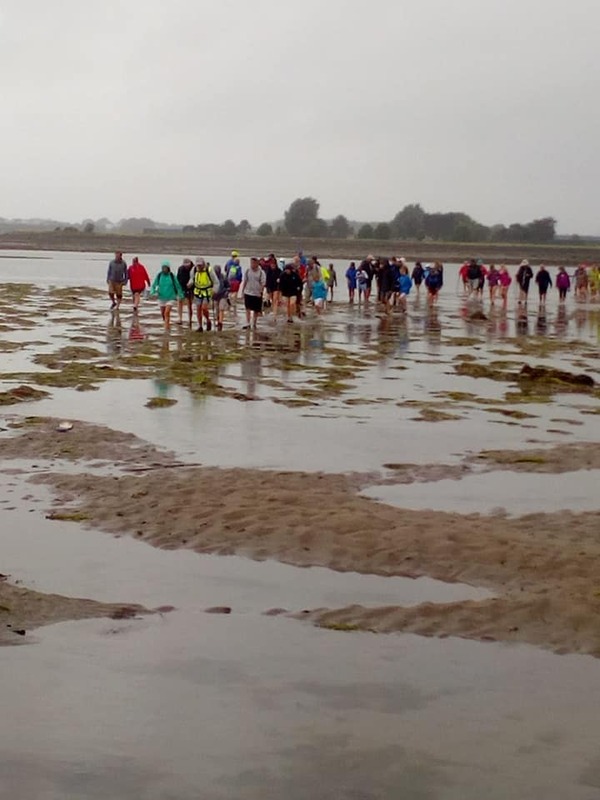 Still, they arrived at Creadon Beach in one piece and refreshed themselves with a picnic. Spirits were high, despite a few spits of rain. 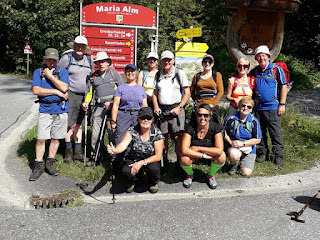 They then made their way along leafy laneways, back to the Saratoga Pub, where eight of the walkers enjoyed an excellent meal. 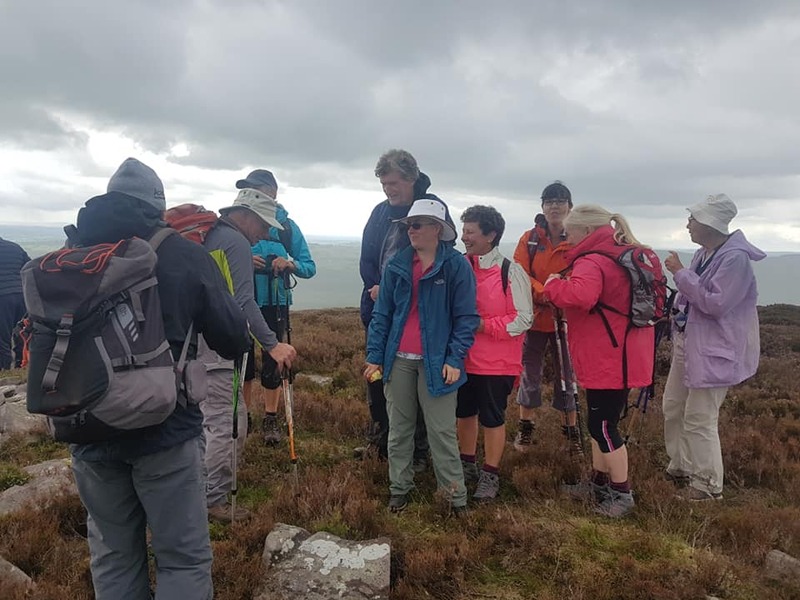 A reminder that the Dungarvan Hillwalking Club AGM takes place on Tuesday 2 October at 8pm in the Park Hotel. If any member wishes to submit a proposal to the AGM, they must do so no later in writing to the committee no later than 18 September. The committee is looking for new club officers to join the committee, so if you’re interested, you can contact our current chairperson, Tony Fitzgerald. 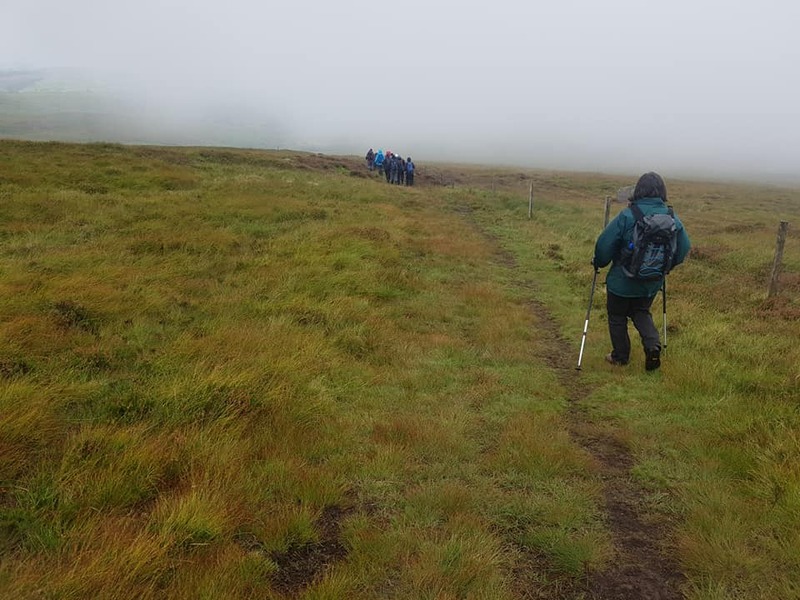 The B and C walks on Sunday last, 26 August, were foggy in some spots, but the walkers rose above that and found some splendid views. 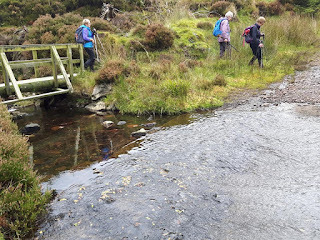 Here are some views from Sgilloge Lochs, the destination for the C walk led by Helen Culloo. These were taken by David Haworth. 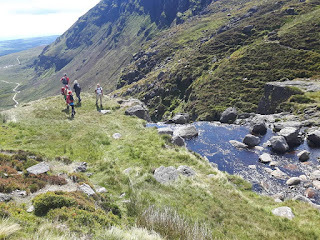 And here are some equally lovely views of a Comeragh B walk led by Michael Hanrahan. These were taken by Michael Daly. 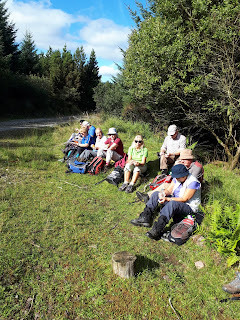 Our Sunday B walk on Sunday 19 August was led by Pat Moloney, who took the walkers on a craggy walk up the Comeraghs. 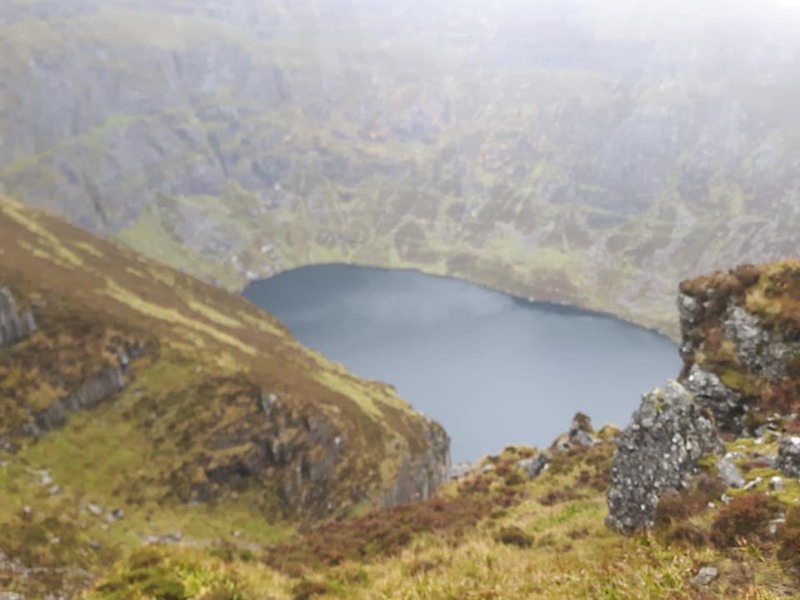 Here are some spectacular views of these adventurous walkers, taken by Michael Daly. 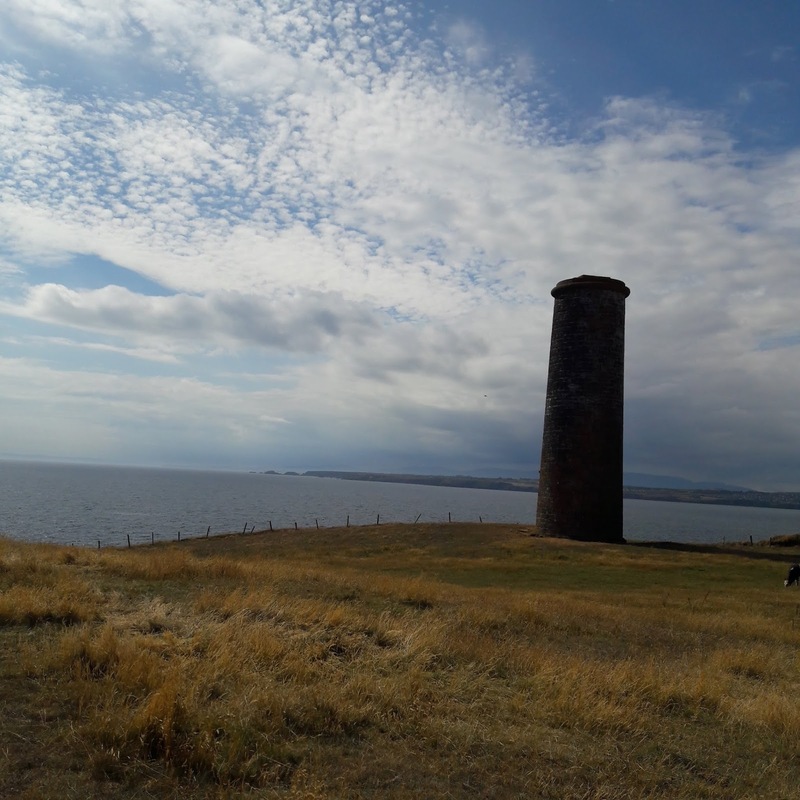 Lots of pictures were taken on this week's walks. 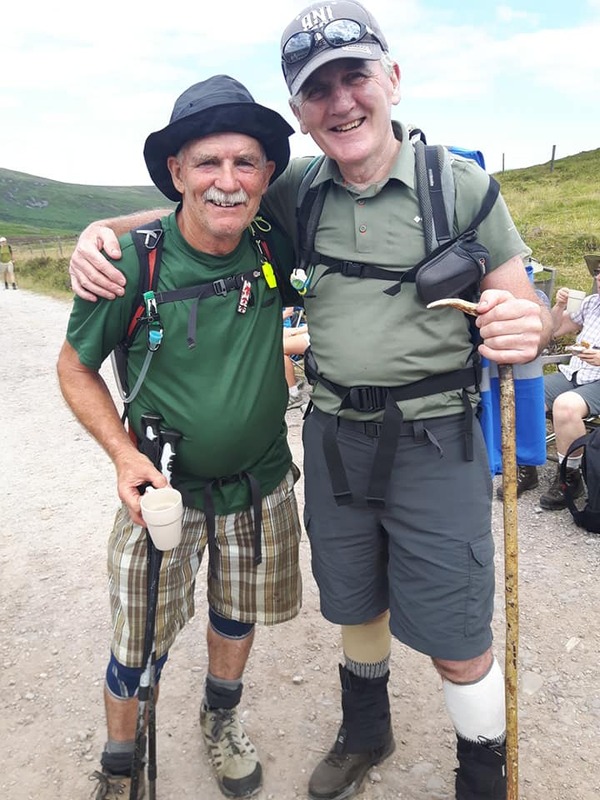 First up, on Sunday 12 August, we had Tom WAlsh's C walk on Mount Melleray and Dave Haworth was busy with his camera. 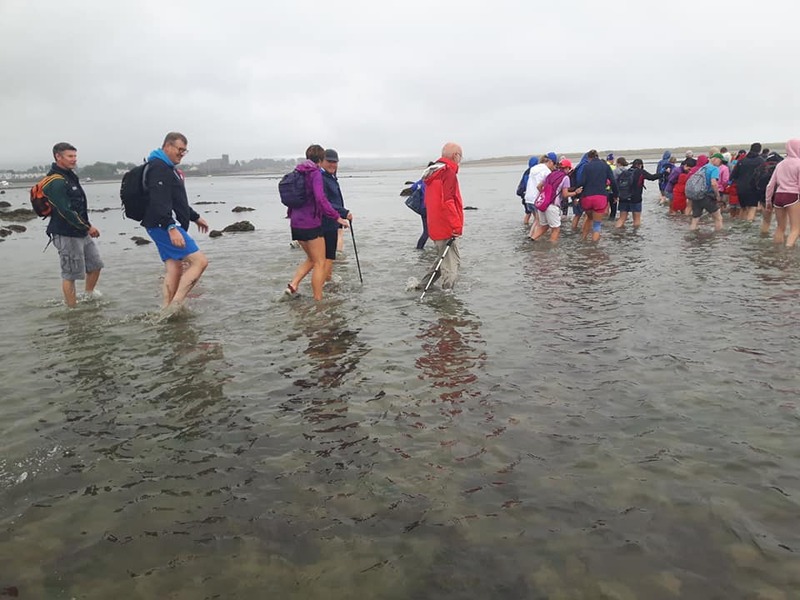 And here's a selection from Derbhile Graham, taken on the Thursday C walk on 16 August in Woodstown .This walk was led by Neil Fitzgerald. On Sunday 5 August, Sean Rush led a walk in the Comeraghs which included a dip in Crotty's Lake. 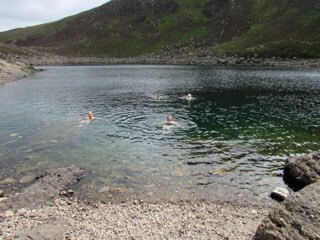 A few members were happy to embrace the cold, and the temperature of the lake was actually warmer than it looked. These pics from Pat Murray give a flavour of the beautiful scenery on offer - both mountains and humans! 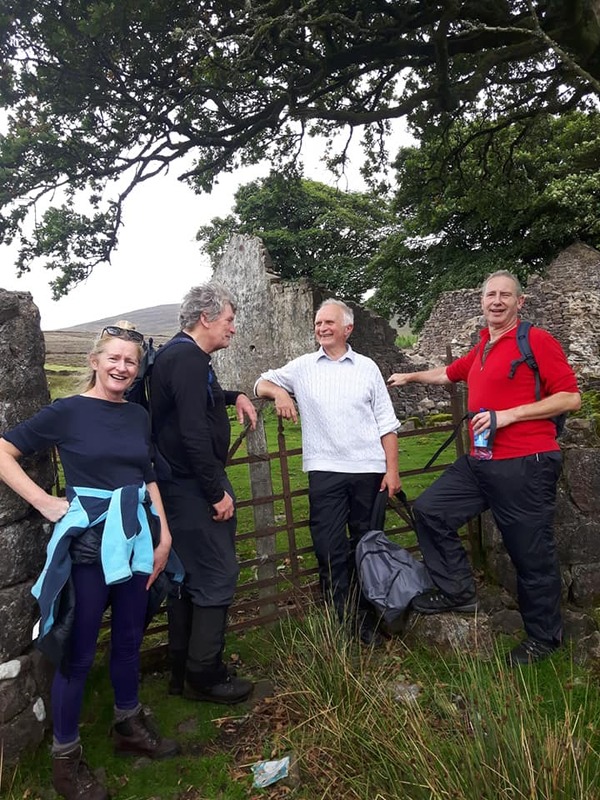 On Sunday 29 July, the B and C walkers joined forces for a walk to the White Standing Stone, led by Valentine Kenneally. David Haworth took some pics of the walk. 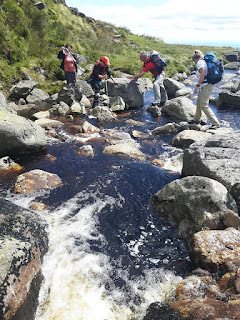 A big thank you to everyone who helped to make the Comeragh Crossing such a great success. Over 180 people were out on the hill and all returned safely. We are unique in the walking calendar and are the only club nationwide to offer four walks on the same day, and our hospitality is second to none. Well done to all club and non-club members for a job well done. 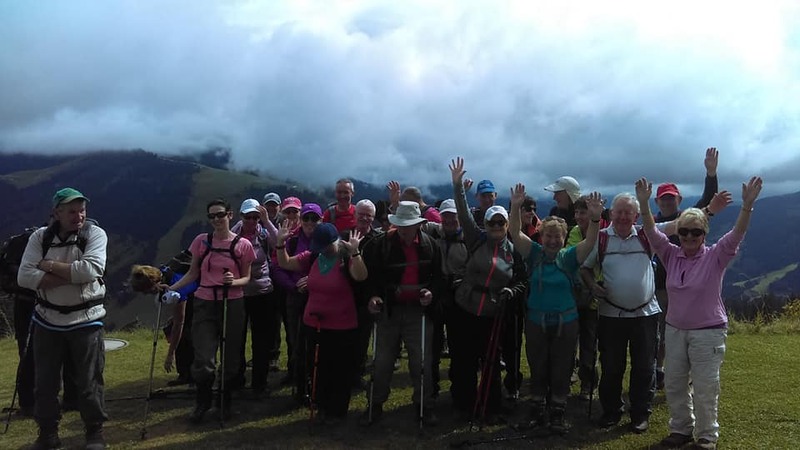 We were delighted to receive some very positive feedback from the walkers who took part. €1,800 was given from the proceeds to charity. Our three chosen charities, Dungarvan Lions Club, South-East Mountain Rescue and West Waterford Hospice, received €600 each. A whopping 359 people took part in this year’s Cunnigar Crossing on Sunday 18 July, despite it being the only drizzly day in many, many weeks. In a first for the club, a drone was used to gather footage of the walk. The drone was supplied by Louis Ryan. 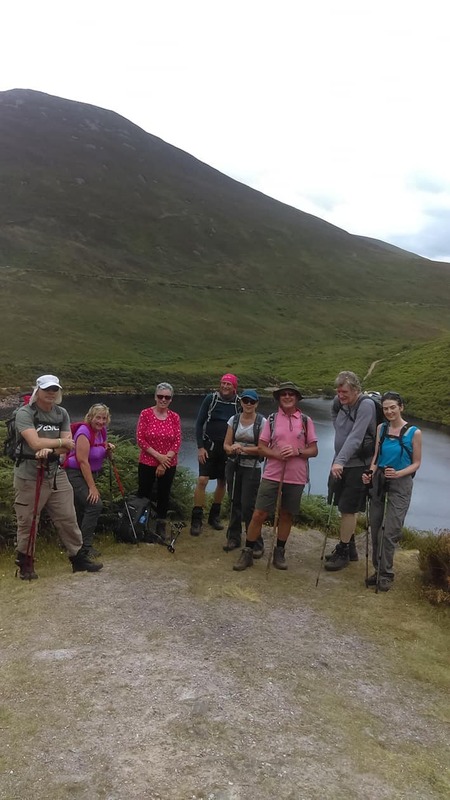 A highly impressive €1,960.89 was raised for Dungarvan Lions Club, West Waterford Hospice and South East Mountain Rescue. Again, the money will be split three ways. Also, well done to Ann Mangan, who served over 350 teas and coffees almost single-handed, and even did a stint behind the bar at Tig an Cheoil afterwards. The day after the Comeragh Crossing, eight walkers braved the heat for a walk around Fenor’s lakes and woods with Elizabeth Twohig. 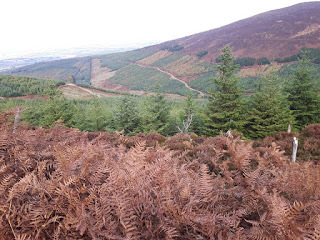 We walked to the top of a small but steep hill, where we feasted on magnificent views that stretched from Helvick to Wexford. We walked through the woods and exchanged royal gossip while enjoying a water break on a log. After a brief stop at the lake, we walked on a second loop which took us through shrubby woods. The walk took two hours in total. 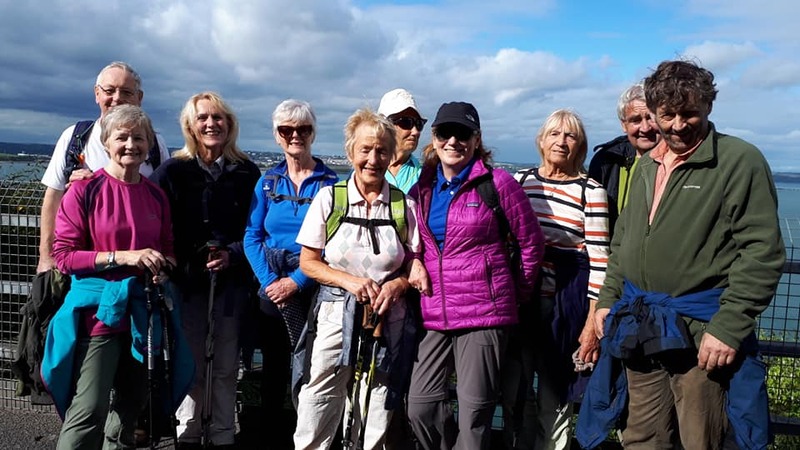 On 22 July, the hillwalking club once again ventured east for a walk around Brownstown Head, which overlooks Tramore Bay. 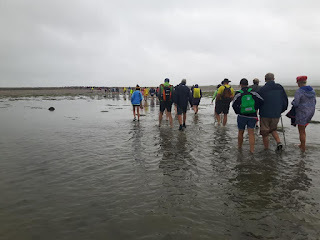 The 14 walkers set out from the Saleens carpark and made their way along the beach. The tide was too high to access Brownstown Head from the rocks, but the farmer who owns the land around Brownstown Head kindly let us use a gate into his fields. There was a lot of fence climbing, but the walkers proved just as adept at limbo dancing as they are at walking. The walk took just under three hours and the sun blazed all the way. Congratulations to club member Goska Korewo, who made it to the top of Mount Kilimanjaro this month. We’re proud to have such an accomplished club member in our ranks. 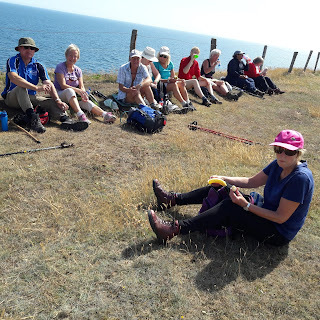 Our club members enjoyed some fabulous sunny walks on Sunday 22 July last. Here are two pics taken by Valentine Kenneally from the B walk to Knockshanabullion, led by Richard Dykes. 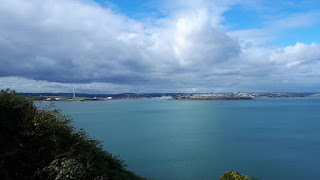 And here are two from Derbhile Graham, taken on the C walk in Brownstown Head, Tramore, where she assisted her husband Norman Graham in leading the walk. This year's Cunnigar Crossing on 18 July saw a whopping 359 people take part, and €1961 was raised for the Lions Club, Mountain Rescue and West Waterford Hospice. 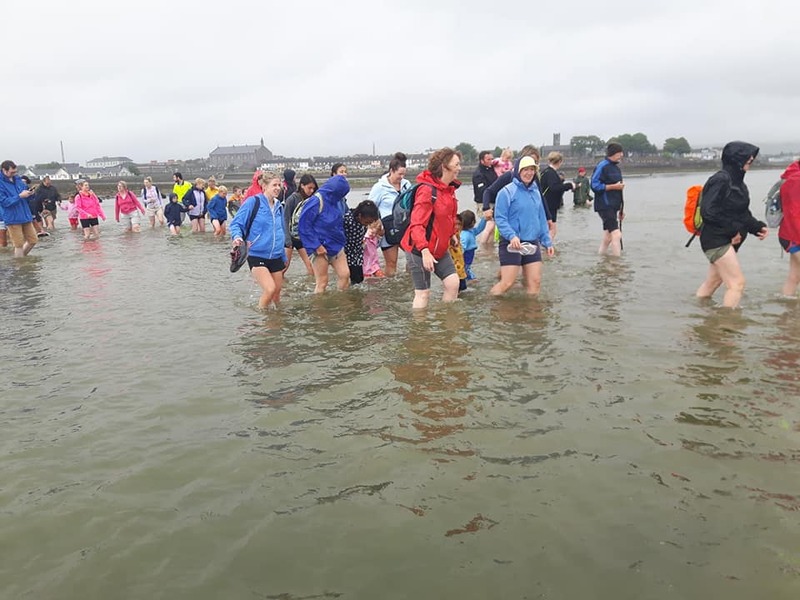 Michael Daly's pics show that the drizzle did nothing to dampen anyone's spirits. 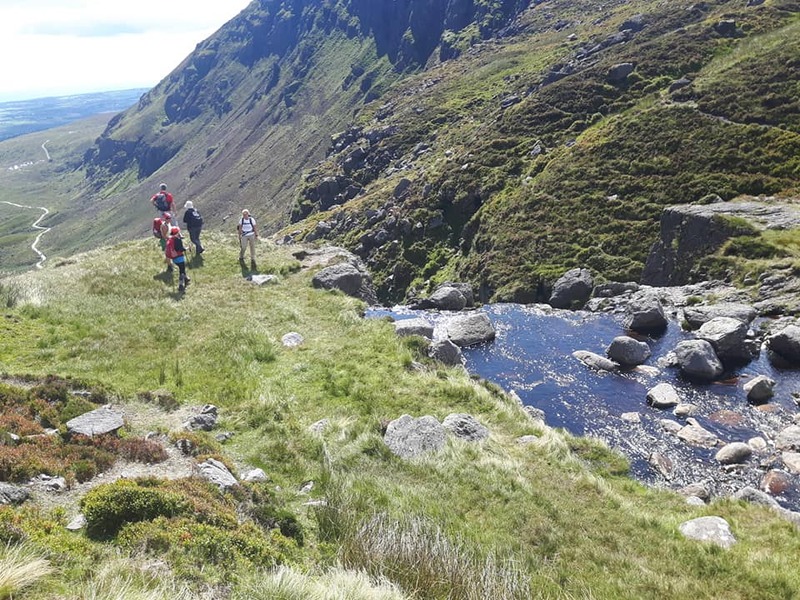 We reckon these pics of the Comeragh Crossing on Saturday 7 July by Michael Daly capture the atmosphere of the event, which despite the strenuous walking was fun and relaxing. 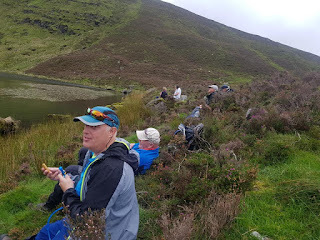 Caption 2: Comeragh Challenge walkers enjoy a food stop. 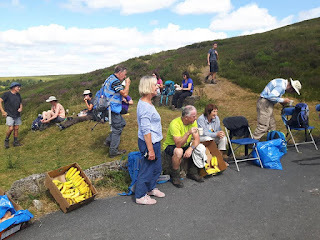 Caption 3: Hardy walkers stopping for a well-deserved break. 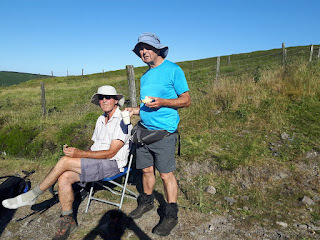 Caption 4: Food stop crew at the Mauma Road wait for the last seven walkers. Caption 5: Hillwalkers bask in the success of Comeragh Crossing 2018.